The Kentucky Derby: The Most Exciting Two Minutes in Sports! Also known as the Run for the Roses, the Kentucky Derby began in 1872, making it the longest running race or sporting event in American history. The first official Kentucky Derby drew a crowd of almost 10,000 spectators, and has since grown in size. In its record setting year, the Derby attracted over 165,000 fans in 2012. The horses that participate in the race at the legendary Churchill Downs Racetrack run 1 ¼ miles, the record time being set by Secretariat in 1973 at just under two minutes. Traditions include fancy southern galas, dinners, cocktail hours, lavish and opulent hats, and of course, the delicious Mint Julep ! Few cocktails invoke an image the way the Mint Julep does. One mention of this Victorian cocktail and you can’t help but envision glamorous hats, horses, and a Southern event unlike any other. 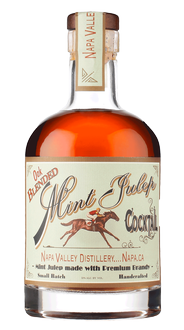 Before it became the signature Bourbon cocktail at the Kentucky Derby, the Mint Julep was traditionally made with Rum or Brandy. It is believed to be a descendant of the Julab, a rose petal and water mixture. Once the Julab became popular in the Mediterranean region, the rose petals were replaced with mint leaves. Eventually the minty concoction made its way to the south where it was reinvented with good ol’ Kentucky Bourbon. 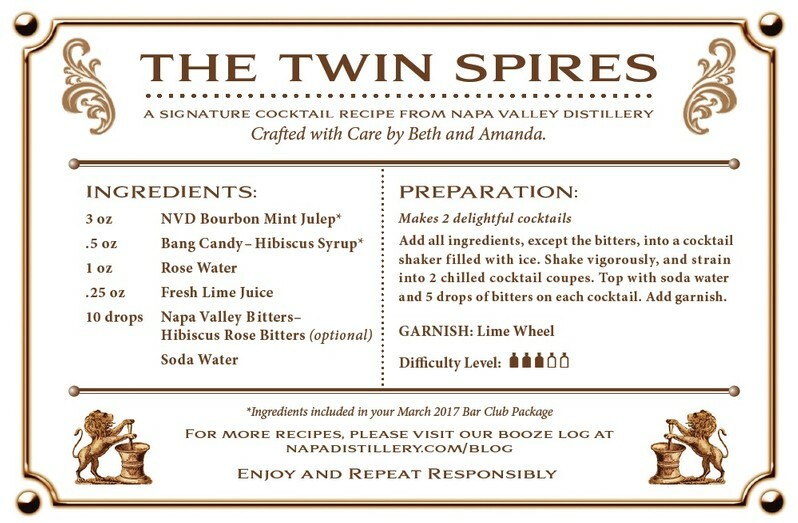 The mixture became an overnight sensation when it became a signature cocktail of the Kentucky Derby in 1933, where they now make around 120,000 of these delightfully minty drinks over the course of just two days! 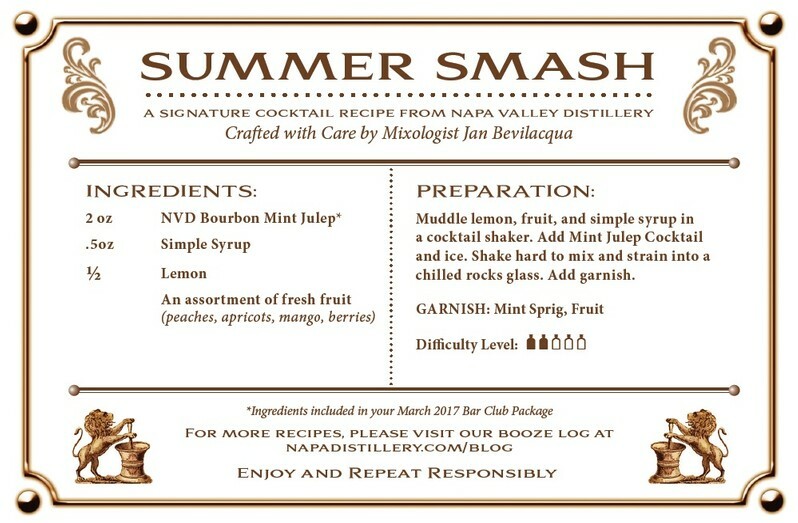 This isn’t the first time the NVD has produced a Mint Julep since we first began making our oak infused cocktails. We previously released a traditional version made with Brandy. Now we’ve decided to follow in the footsteps of Bourbon distillers and mixologists from the past and reinvent our Mint Julep with our very own Bourbon. Enjoy! In a cocktail shaker, muddle well mint, peach, and syrup. Add mint julep cockatil. Stir. Pour into a julep glass over crushed or shaved ice. Garnish with mint sprig and peach slice.